a vast space of grey/white air. I turn brown to grey. Autumn claims my summer life. 1 page, circa 1' 45"
Written 5 April 2013, this little set of verses speaks a detailed picture of a moment as of a lifetime. 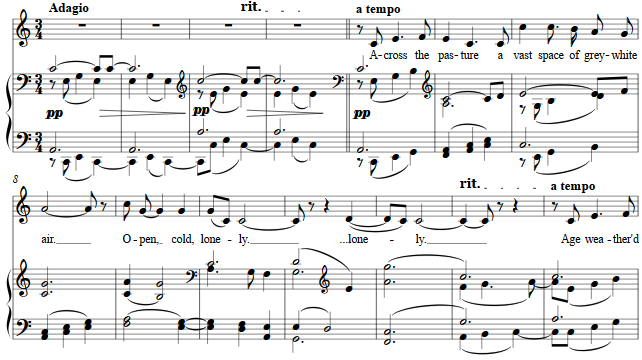 Set simply in three strophes with only the slightest variation, the accompaniment begins in a lower octave, repeats and octave above, and then returns to the lower for the last strophe.